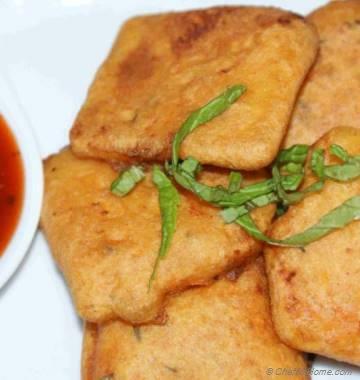 Pakoras, savory vegetarian fritters, are a very popular Indian tea time snack. The chickpea batter gives them a unique flavor. 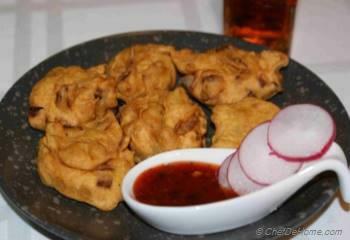 I am sharing recipe of Onion Pakoras with you, but you can make these with almost any kind of vegetables. 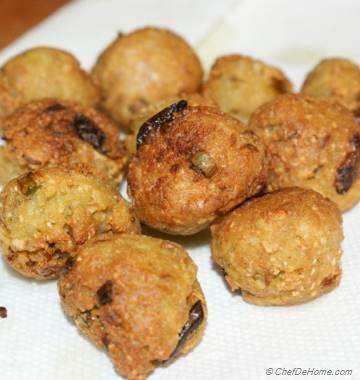 Try same recipe with grated carrots and potatoes and do not forget to tell me how you like it…. 1. 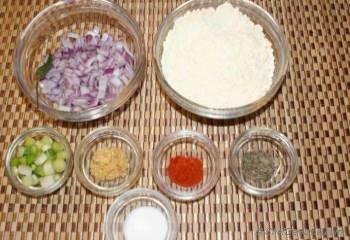 Take flour in a bowl, add scallions, onion, salt, red chili powder, garlic and thyme. 2. Mix water into dry ingredients (little at a time). Repeat adding the water till batter is little thicker than Pancake Batter. 3. 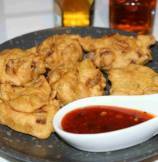 Heat oil in a deep frying pan (Or Fryer) . 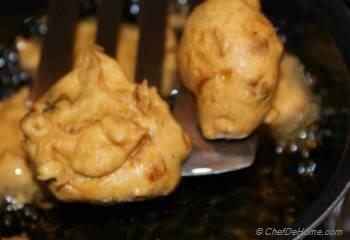 When oil is hot, fry fitters 3-4 at a time. (Check by dropping pinch of batter in oil. It should float to surface at count of 3). 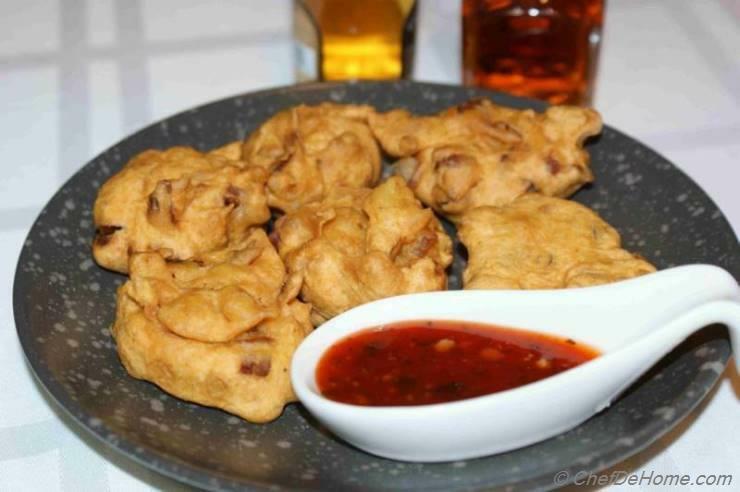 Never overcrowd your frying pan since that will drop oil temperature and fritters will become oily. 4. 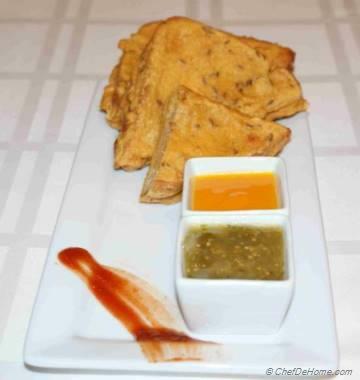 Server hot with Chutney of your choice. Perfect for Tea Time Party Or Cocktail Party.